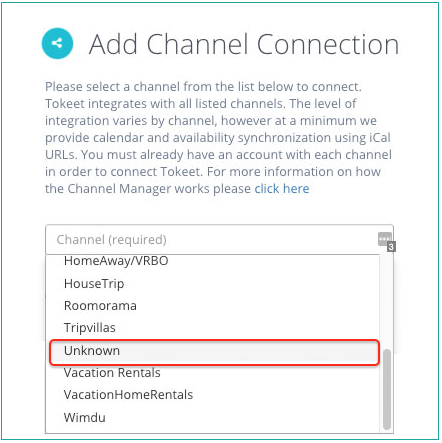 Connecting Tokeet to Airbnb is best done via API connection, which allows you to manage calendar updates, rates, and messages from the Tokeet platform. For more info, please see the Connecting Airbnb with Tokeet article. 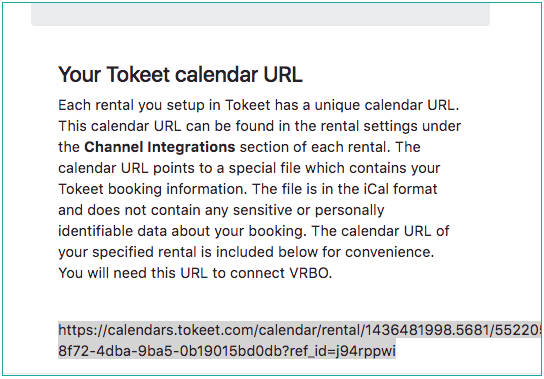 In some cases, an iCal (calendar link) connection with Airbnb is necessary--for example, if you are unable to verify your Airbnb account in Tokeet. Here's how you can connect to Airbnb via iCal. 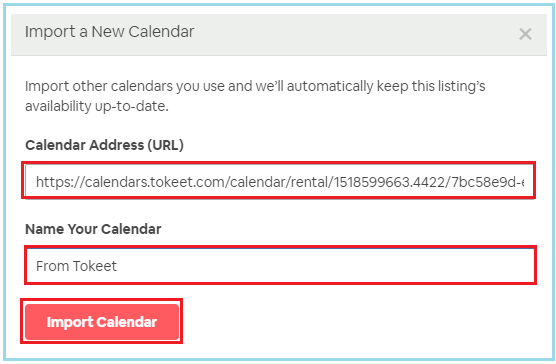 In Airbnb: navigate to "Listings"
Above your listing preview, click "Availability"
Scroll down to "Sync Calendars", select "Import calendar"
In Tokeet from the same "Channel Details" page. Repeat this process for all your rentals. In order for iCal connections to work with two-way synchronization, you will want to both export a Tokeet calendar into Airbnb and import an Airbnb calendar into Tokeet. 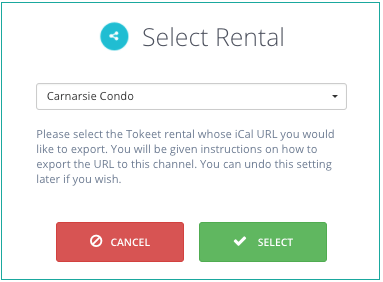 All imported Airbnb bookings have status of Confirmed in Tokeet. 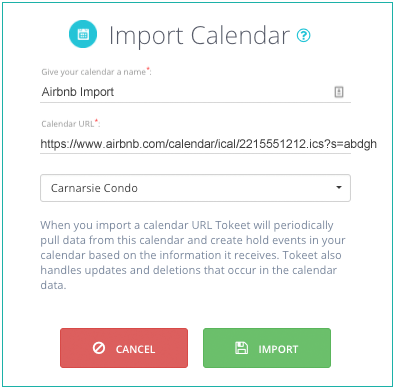 Tokeet will import manually blocked dates from Airbnb; these are labeled as "Airbnb Hold Event" on your Tokeet calendar.